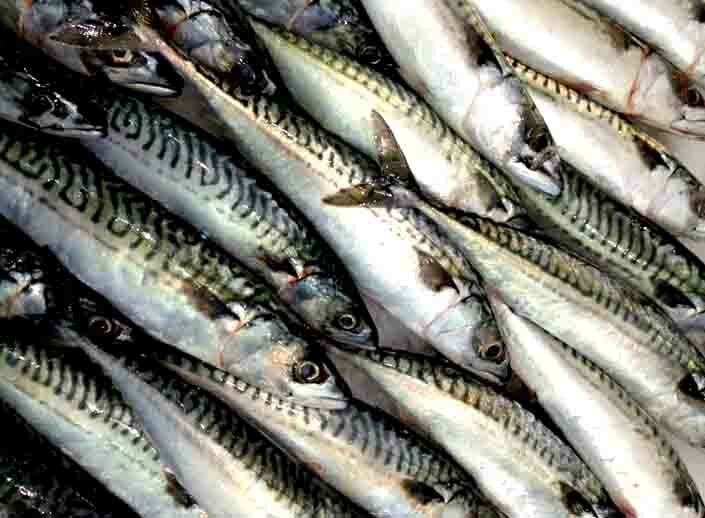 Daily from Billingsgate Market, Cornwall, Devon, Grimsby, Aberdeen, Fraserburgh and many other fishing ports around Great Britain. 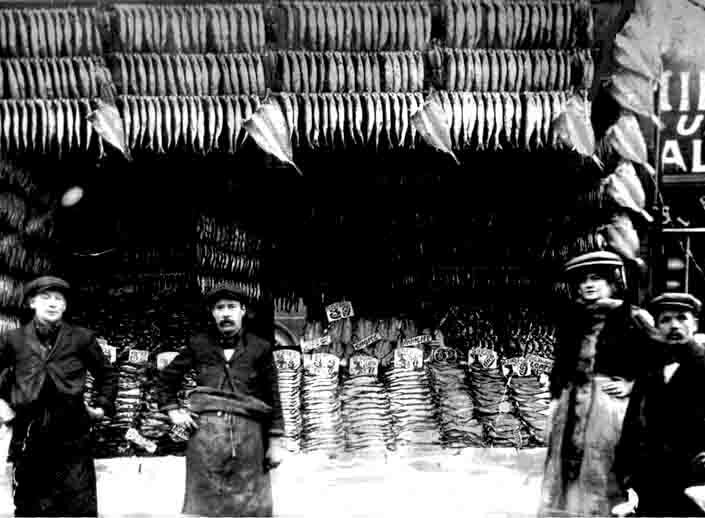 London's oldest working smokehouse is part of our Crouch End Shop. Smoked Haddock, Smoked Mackerel, Smoked Salmon, Kippers and Eel. Available in our shops. 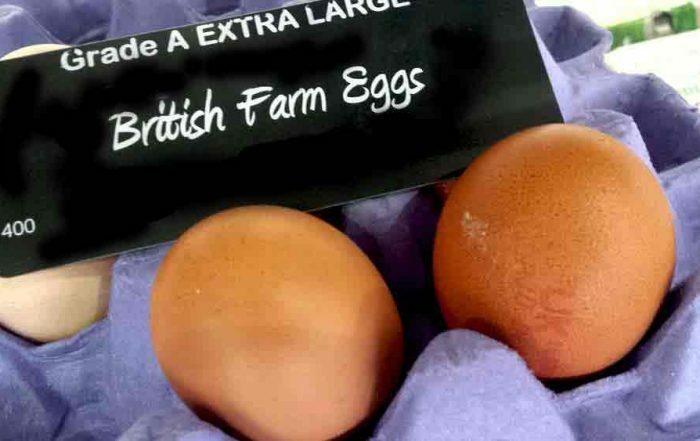 Real local food. Below are our opening times for the Easter holidays. 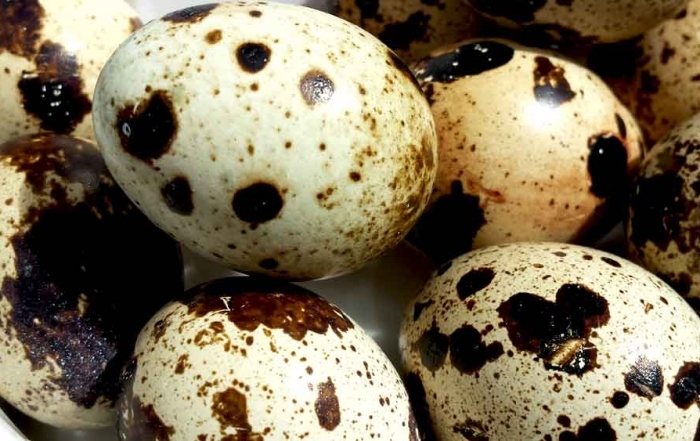 Not just for fish, come in and see us for some different Easter eggs. 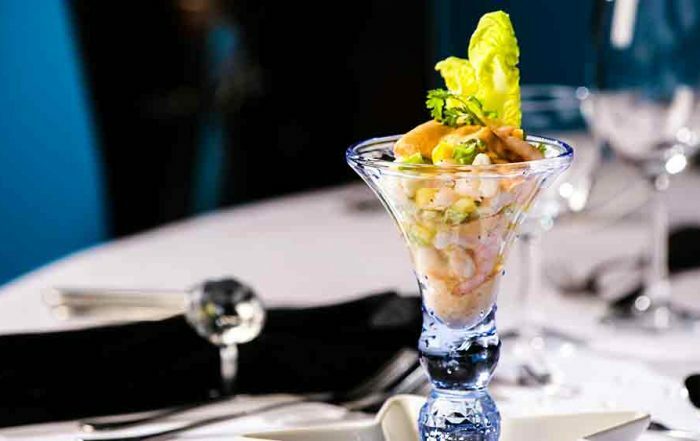 Prawn cocktail with marie rose sauce is a retro classic, much maligned over the years it also brings back fond memories for many of us and can be a really excellent dish. 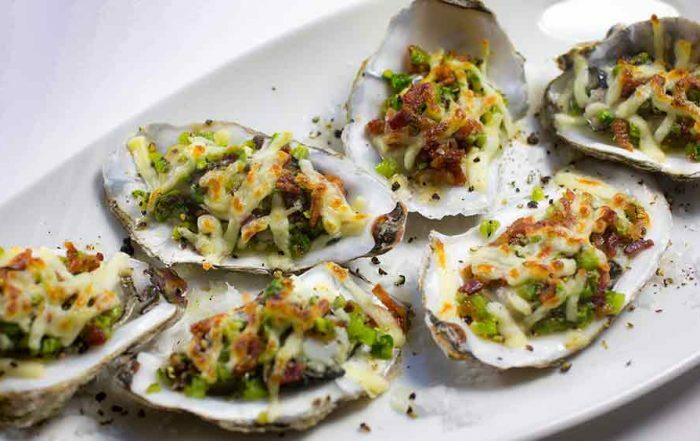 This recipe will show you how to cook oysters au gratin. 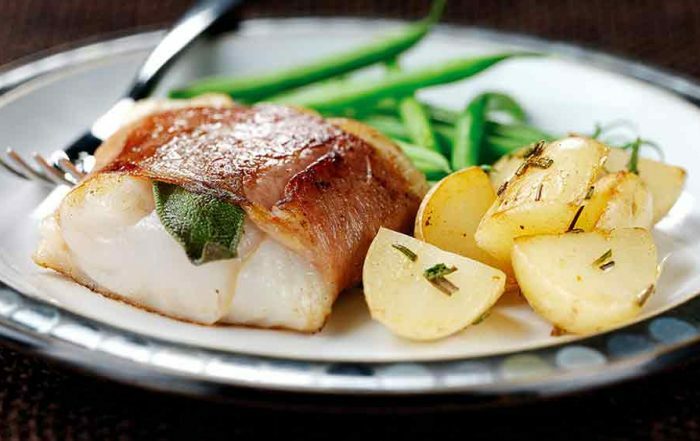 Its quick and easy to prepare and cook. The addition of cheese and bacon is delicious. 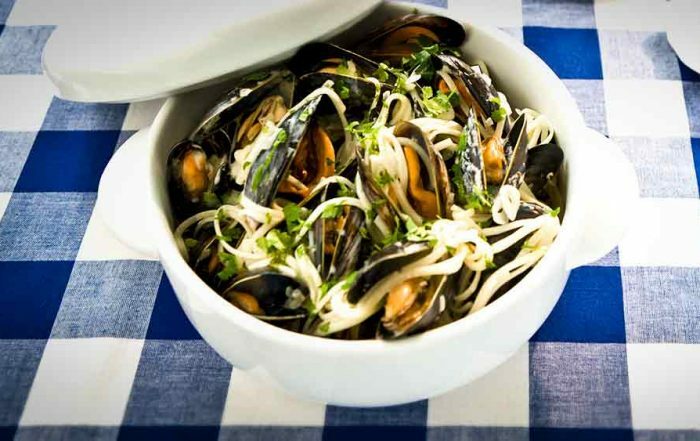 This is a delicious mussel recipe that is very quick to cook and prepare. 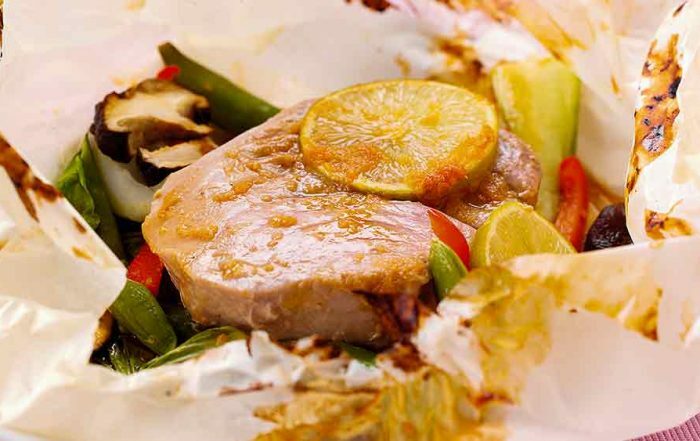 These tasty shellfish have plump, juicy flesh and a sweet taste of the sea. They make a great combination with the garlic and pasta for a great family meal or sharing with friends. February the 14th needs a Valentine's day dinner. We have just what you will need for a romantic meal. 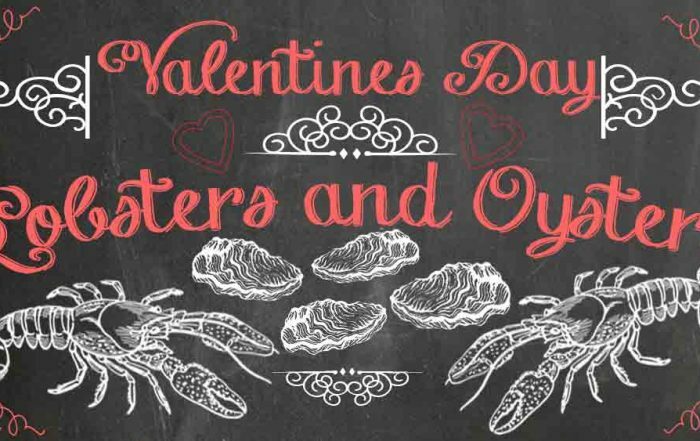 Oysters and fresh lobster will be a tasty treat. 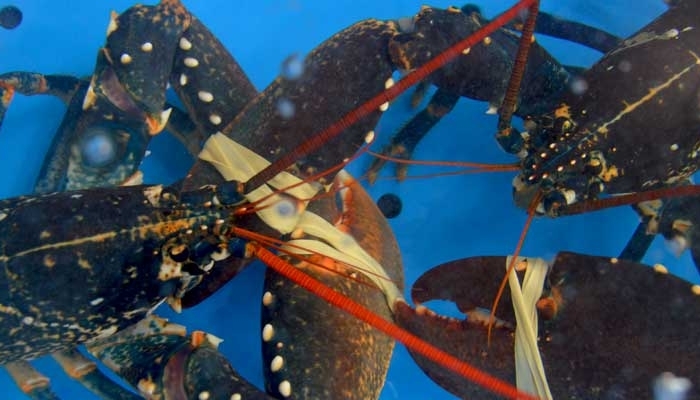 What could be better for a luxurious romantic treat with your partner than a Lobster for Valentines Day? 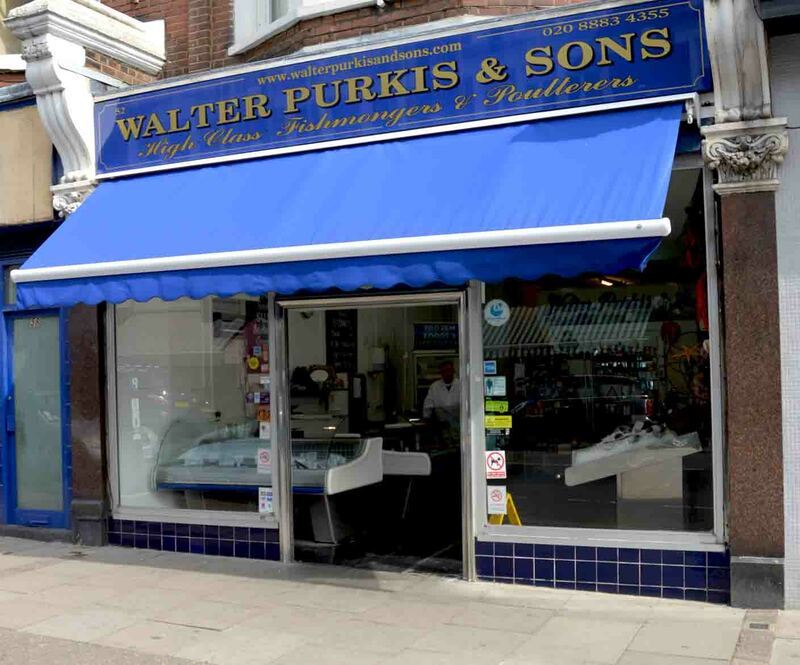 Walter Purkis has always made a speciality of sourcing the very best shellfish available. 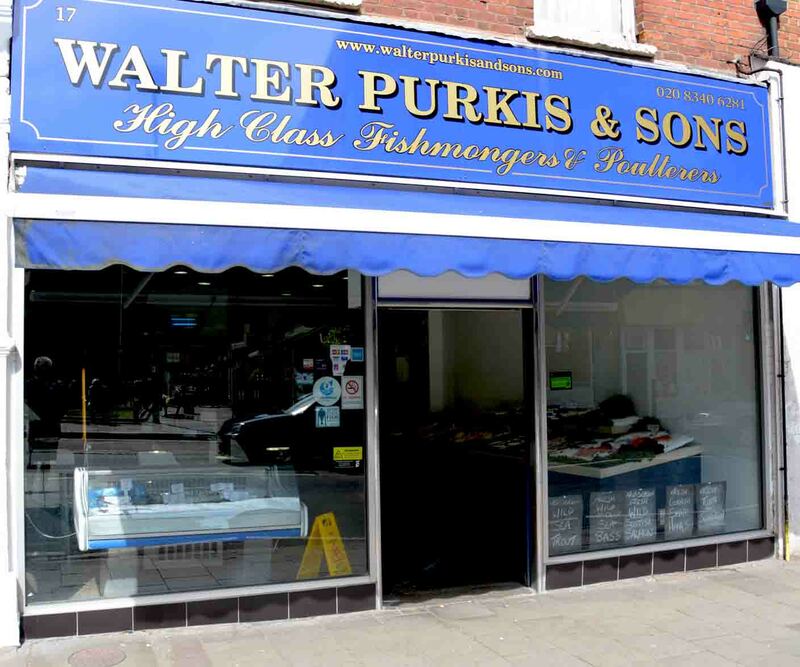 Walter Purkis has been awarded The Master Fishmonger Standard. 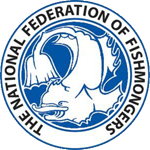 This prestigious award has been developed by the Worshipful Company of Fishmongers. 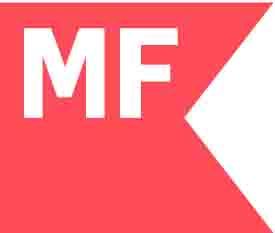 Achievement of the MFS Master Fishmonger accolade is significant, reserved for only the finest of fishmongers. It demonstrates their broad and balanced experiences within the industry, it celebrates their successes as a steward of the sea, and commends their continued commitment to the trade. It is an award that comes with great prestige and honour. In both competitions Londoners were asked to nominate their favourite local shops and food heroes to be recognised as the very best in the capital. 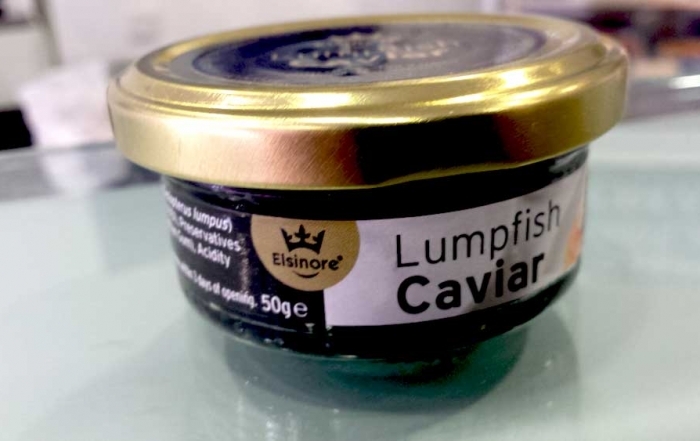 We were the winners of best London Fishmonger 2014 and second place in 2015 & 2016. We really appreciate the support from our friends and customers. 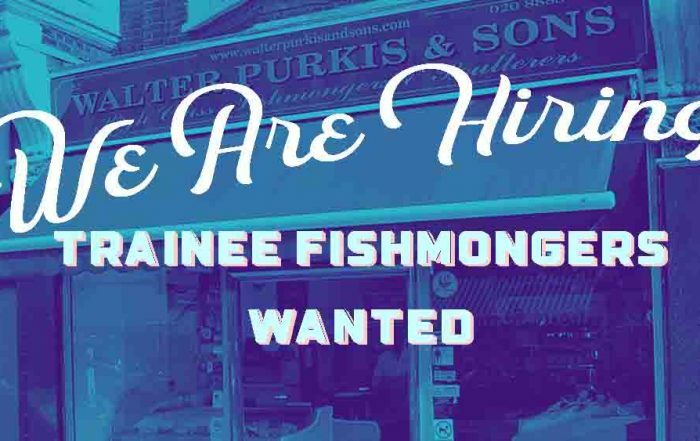 Award winning traditional fishmongers. 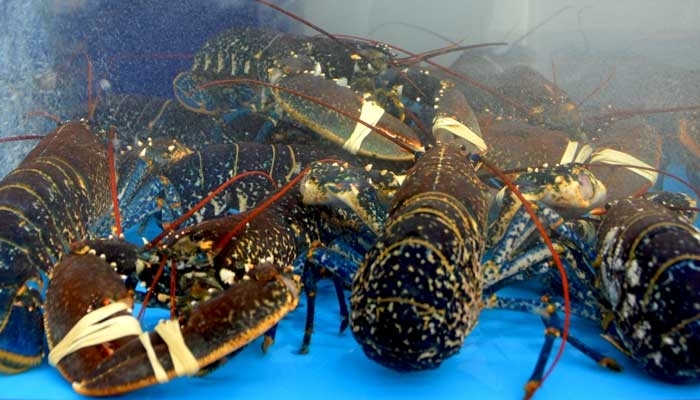 We have a extensive range of the freshest fish, crabs and lobsters, oysters and shellfish. 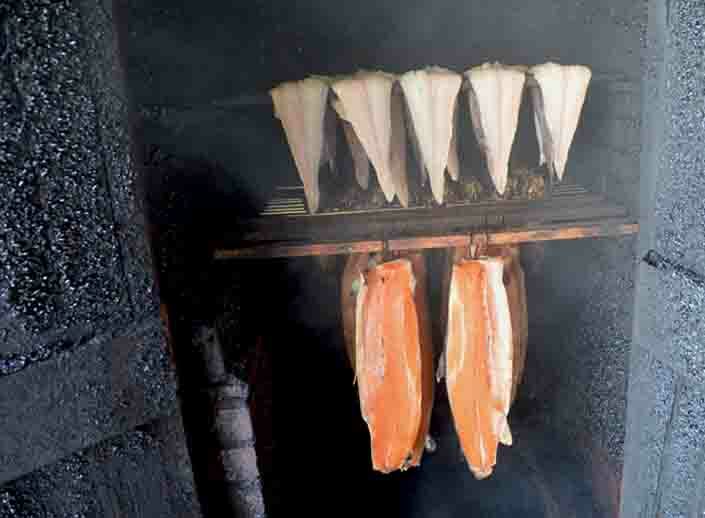 We are known for our smoked fish, locally produced from our own smoker behind our N8 shop. Try our own smoked salmon or haddock.